Opioid deaths continue rising in the United States, but not in Colorado, where marijuana is lawful for personal use. As a Fairfax criminal lawyer, I see a sensible connection between lawful access to marijuana and the decline of opioid deaths in states where marijuana is partially legalized. Opioids essentially are painkillers derived from the poppy plant or are made synthetically , unfortunately now with the highly dangerous fentanyl part of the mix. Marijuana is a great painkiller that for many offers a a more pleasant experience than opioids, with a milder high than opioids, and without the severely addictive features of opioids. Opioids can be prescribed by a physician and obtained at a local pharmacy, but federal law and the Drug Enforcement Administration (DEA) of the U.S. Justice Department ban pharmacies from dispensing marijuana. 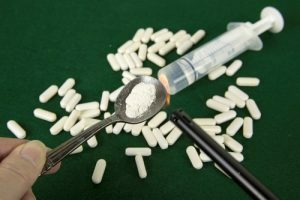 Then the downward spiral begins with many lawful opioid recipients at first taking prescribed opioids as directed by their physician, but next obtaining opioids unlawfully because their physicians decline increasing their dosages, and sometimes turning to heroin when their opioid refill instruction runs out. Not everyone is going to take the zero use approach that I have taken to opiate-based substances. When I had a seriously impacted wisdom tooth pulled a few decades ago, I left the prescribed Percodan untouched and only available in the event of unbearable pain, and instead took one or two Tylenol pills. When I learned that five of my eight fellow travelers on a great 1989, post-bar exam trek in northern Thailand — plus our tourguide — were indulging before my very eyes with smoking opium sold to them and set up by our hosts whose large simple huts we shared, nothing interested me in trying the opium, and I probably should have gotten out of there lest the police arrived and dragnet-arrested all of us travelers. As much as I believe strongly in broadbased drug decriminalization, marijuana is particularly worthy of legalization, considering how much less harmful and less addictive marijuana is when compared to opioids, cocaine, amphetamines and LSD, for instance. In any event, plenty of people are out there self medicating with unlawful drugs. Plenty of people would choose marijuana if only they were able to obtain and consume quality, unadulterated cannabis without watching over their shoulder to make sure they do not get caught. Fairfax, Virginia, drug defense lawyer Jon Katz has defended hundred of drug defense clients, since 1991. To discuss your case with Jon, please call his staff at 703-383-1100 to schedule a confidential meeting.